The line between design and construction is blurring at an accelerated rate due in part to the model-based driven process of BIM. The leading adopters of BIM are now the contractors. Models created in the design space for the purpose of creating fully coordinated and consistent bid documents are now influencing the construction of buildings. Traditionally, contractors would need to redraw the information conveyed in the bid documents for the purposes of sequencing, assembling, and documenting the building for the construction. This would require countless hours of trades-people collaborating over how to make the design a reality. With a model-based delivery the process can be made more efficient, dramatically productive, and higher in quality. Re-purposing the existing models created by the design professionals is replacing the old and tired method of yesterday. One way we can do this is found right inside of Revit®. Take a single building element modeled for design and convert it into something useful for construction. System families like a wall can be converted into Parts. The Parts can then be further sub-divided into many Parts. Each Part instance can be quantified, tagged, and scheduled. The Parts themselves are dependent children of the original parent element thus maintaining intent and providing constructability. Parts were introduced to us in release 2012 in order to begin bridging the chasm between the designers and constructors as well as, strengthen communication and understanding. 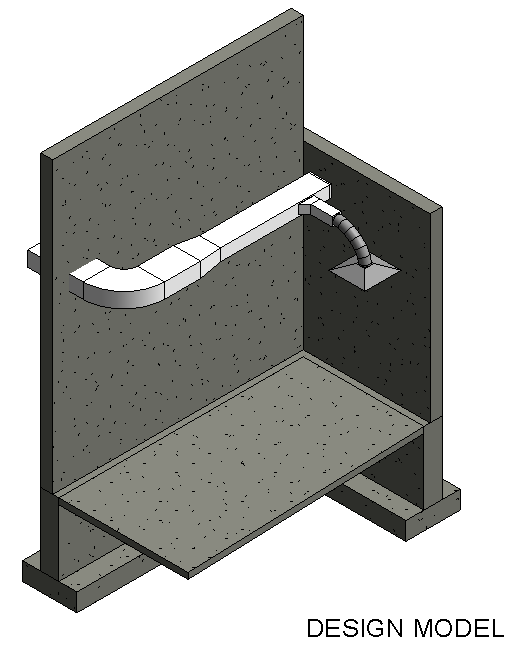 Parts can be created from any layered assembly in Revit® such as a wall, floor, ceiling, and roof. Each layer of the Assembly will become an individual Part. Each Part can then be modified or divided into several Parts to more accurately reflect the real world components. 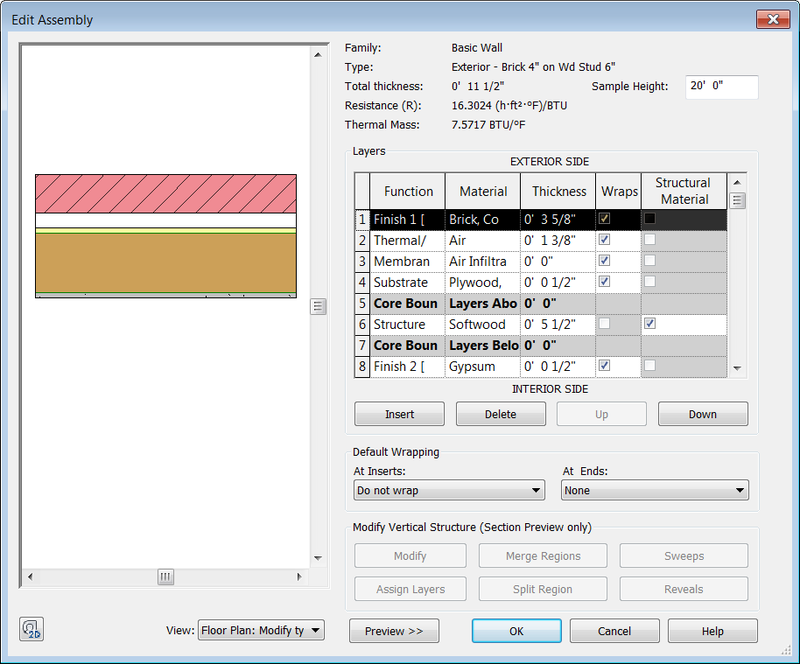 The process begins by selecting the wall, floor, ceiling, or roof and choosing the Create Parts command. The active view of the element will automatically switch to displaying the Parts and hide the Original. 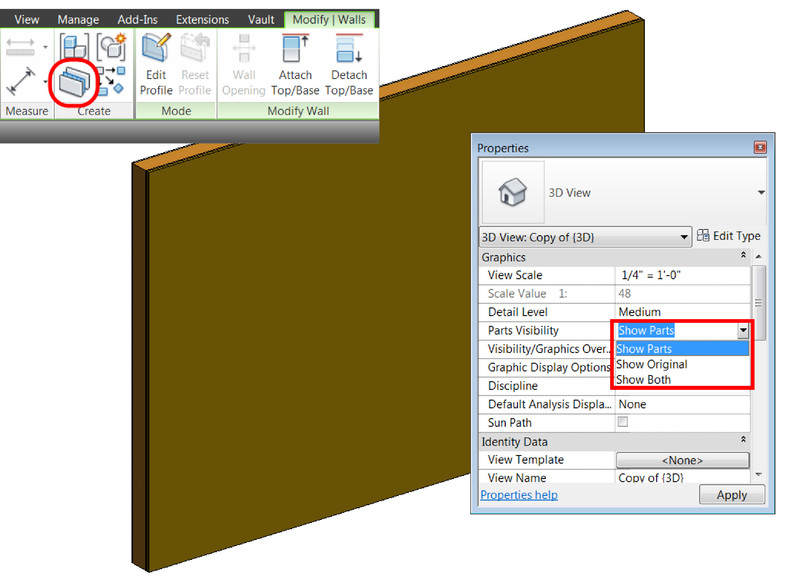 The Parts Visibility parameter enables the view to display only Parts, Original, or Both. Once the Parts are exposed, each one can be independently selected and modified further. The selected Part can be Divided or Excluded. 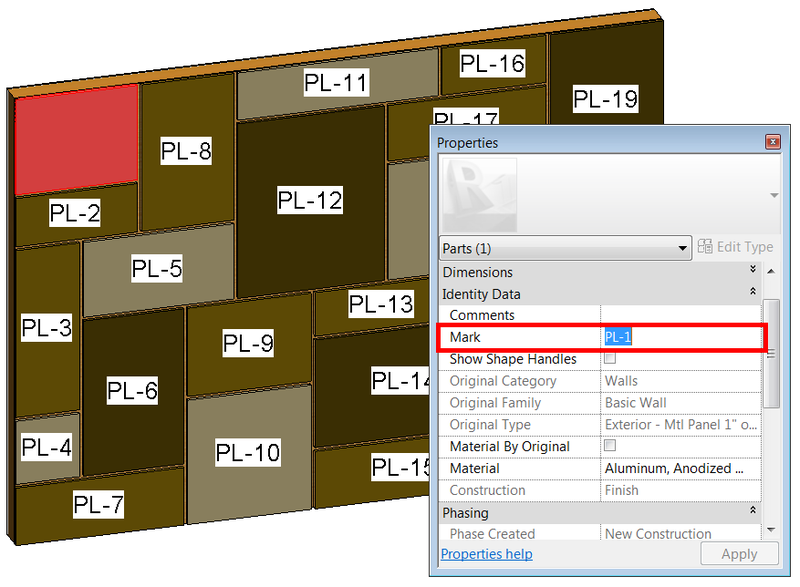 Dividing the Part simply segments the original Part while Exclude hides the Part from view and project schedules. Two or more Parts can also be merged together. 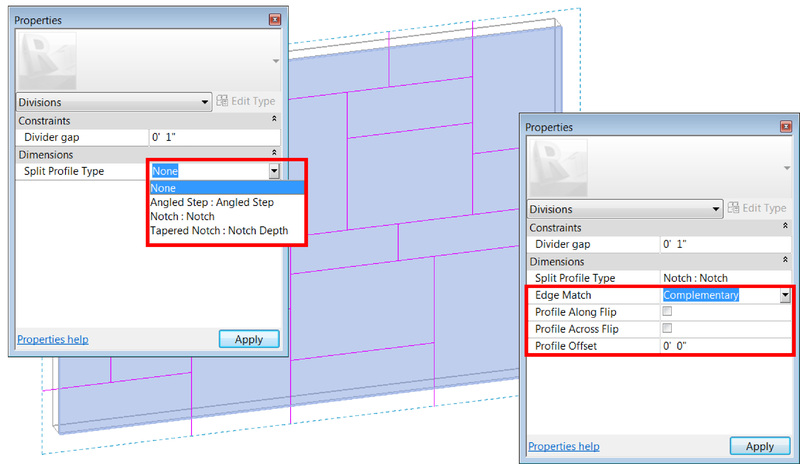 Dividing the Part places it into an editing mode whereby you can manually sketch split lines or select intersecting references such as levels, grids, reference planes, and all the above. The editor also allows separate Parts to be added to or removed from the current division. When sketching the split lines, you can set the Work Plane to sketch the split lines on. The Work Plane can be a named reference, a selected geometric surface, or a line. The division can be given a distance to gap the Parts as well as, specify whether or not to use a loaded division profile to use along the split lines. When a division profile is selected, additional parameters become available. These parameters allow you to further manipulate the behavior of the split. Division profiles can be created and loaded into the project for use. When the Divided Part is completed, each division can be further modified. Such instance parameters include the ability to show the shape handles for manipulating the original Part’s extents manually or override the material assigned to the Part from the original element. Simply unchecking the Material By Original parameter activates the Material parameter allowing you to access the Material Browser to override the material of the original element. Given the ever-growing complexity designed into buildings, the ability to create and divide a Part aids in the overall installation and assembly process in construction. Individual Parts can be given an instance mark value for tagging each instance in a view and itemizing each instance in a schedule. As you would imagine, this capability plays right into the sequencing process in Navisworks® whereby Part elements can be linked to a construction schedule task based on their individual instance mark value. When it comes to Phasing in Revit®, Parts are no exception to the rule. A particular Part’s Phase Created and Phase Demolished parameter can be overridden to set when the Part was created or when it was demolished regardless of the values specified in the original parent element. This simple feature provides a more accurate representation of a Part’s phase status over time. Parts follow visibility and graphic override settings specified by the Phase Filter assigned to the view displaying the Parts. 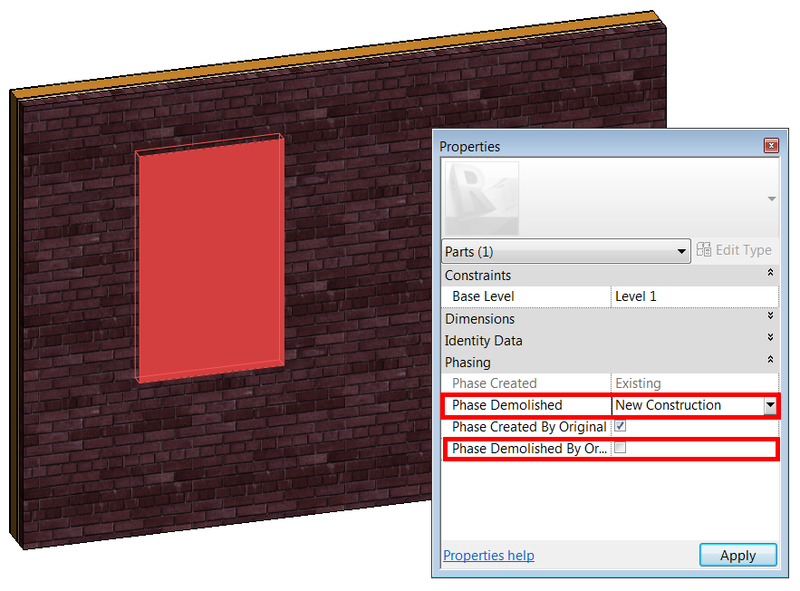 The process can be expanded across linked Revit® files. 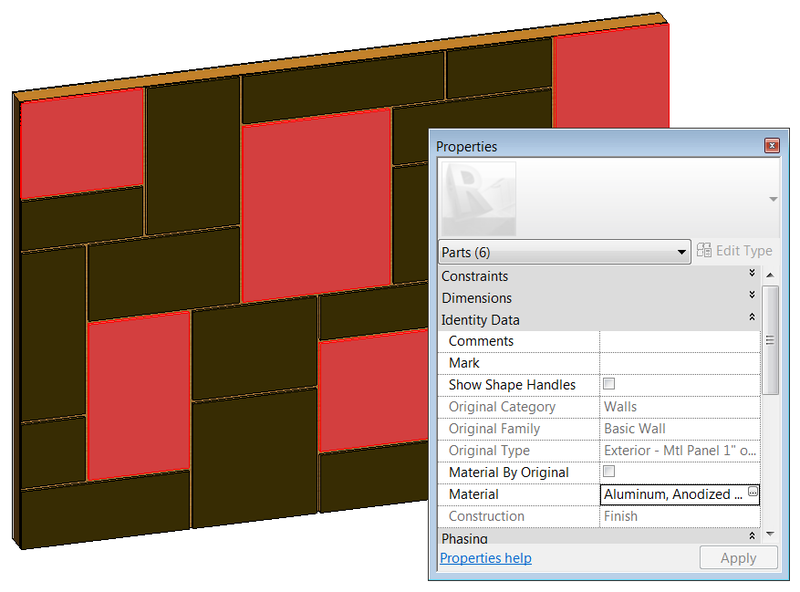 Walls and floor elements can be Copy/Monitored to the host file. Once Copy/Monitored, the copied elements can be converted into Parts. Each Part can be further divided into more parts. The child to parent relationship is maintained internally in the host file while the underlying original element in the host file continues to monitor the companion element in the linked file. When a change occurs, the Coordination Review manager will indicate that there is a coordination issue. When the Copy/Monitored elements in the host file are updated to match the companion elements in the linked file, so too are its associated Parts. Finally, Parts can be exported to Navisworks® to accurately visualize the construction of an otherwise single element originally placed in Revit®. Using the wall as an example, the framing sub would first frame the studs of the wall. Then, the he would add the exterior sheathing and vapor and vapor barrier. Another sub would install the exterior brick veneer. Finally, another sub would install the sheetrock on the interior of the wall. 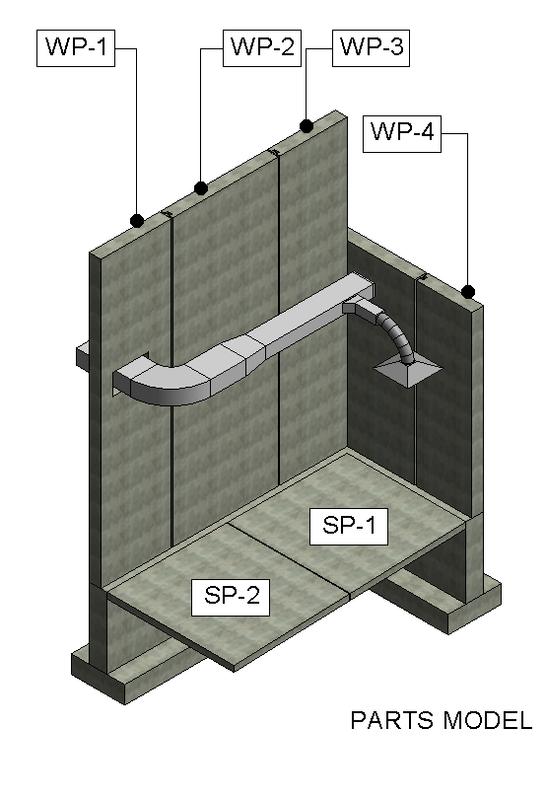 Using the Navisworks® Exporter in Revit®, you can select to include the Parts in the creation of the NWC file. 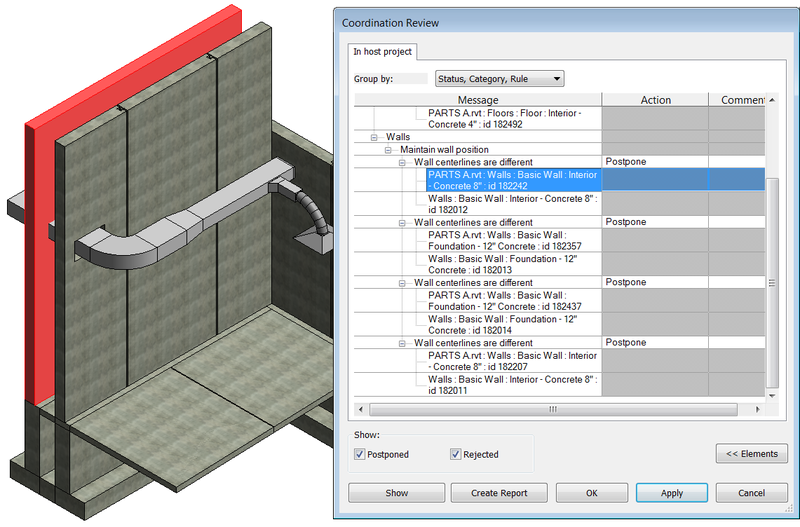 The Parts can be easily seen within the Navisworks® Selection Tree, made into Search or Selection Sets for ease of access, and associated to Tasks in the Timeliner for review during a simulated project sequence. In conclusion, Revit® Parts can now give you the flexibility you need for representing finite elements for construction accurately while continuing to maintain the designer’s original intent. Bill has a four year Architectural Engineering degree from the University of Hartford. He has accumulated over seven years of industry experience at George J. Donovan AIA & Associates of Bedminster. During that time he managed the company’s CAD standards and mentored his colleagues while providing design, documentation, and in some cases, management services on a variety of architectural projects. Some of his most notable projects include the adaptive reuse of a two vacant structures into usable facilities. The first was an empty factory into leasable office condominiums and the second was the conversion of a dilapidated 81 year old silk mill into a local bank’s administration building. For the past five years at Synergis, Bill has been training, supporting, and implementing the Building Solutions offered from Autodesk, primarily the Revit applications. His accomplishments include many certifications which include AutoCAD, AutoCAD Architecture, and Revit Architecture. He is also an Implementation Certified Expert for Revit Architecture and Structure. Bill’s latest achievement was acquiring the MEP Systems Specialist certification from Autodesk which has propelled Synergis as a Platinum Service Provider. Bill’s interactions with customers have provided him with constant challenges that lead him to think outside the box. As a result, he has authored several technical solutions for publications which include AEC Bytes and Cadalyst as well as, produced several tips and tricks videos for the Synergis Website and You Tube channel. He enjoys consulting with a many different Architectural or Engineering firms struggling to implement the BIM process using the Revit application. Bill has been certified many times on Autodesk products, including Revit Architecture, Revit Structure, AutoCAD , and AutoCAD Architecture. Bill, In some cases, for the speed of the project, the split profile has been a similar function to the new PARTS. Followed my the use of material paint bucket. However, PARTS can be scheduled and tagged. Are there other similarities or differences that you make between the two functions? Is it still useful to use split profile? talents and also with the structure in your blog. Anyway stay up the excellent high quality writing, it is uncommon to peer a great weblog like this one nowadays..